How to create a document set link? How to upload/add a document? Is it possible to edit the document set link? How to add expiry date in document set? How to create a folder for documents? 3. ** Enter Document link name as you would like. Then click on “**ADD**” to add documents. 4. Then set your document set preference from the options. 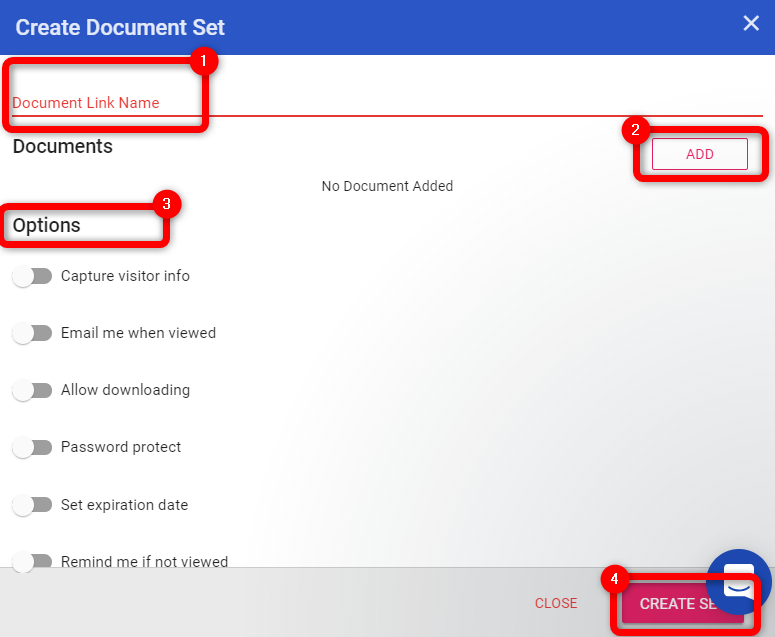 That will create the document link set.